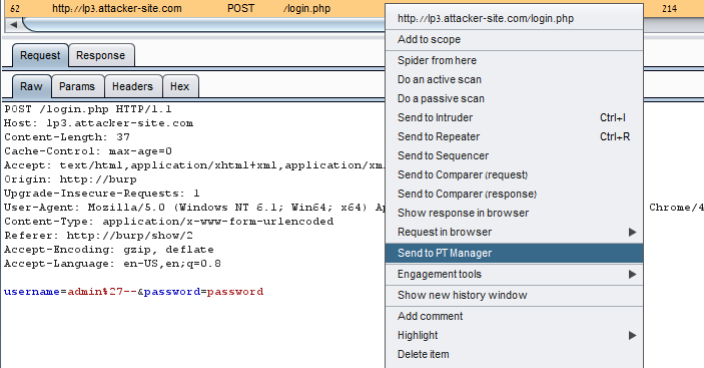 Download the PTManager.py file (and XlsxWriter-0.7.3 in case you would like to generate xlsx report). Open Burp -> Extender -> Extensions -> Add -> Choose PTManager.py file. User Guide - How to use? After installation, the PT Manager tab will be added to Burp. Open the Project Settings tab (PT Manager -> Project Settings) and create a new project, make sure you are creating it under encrypted partition. "Details" text area can be used in order to save any details about the project such as URLs, credentials, contact details, or any other comments. Generate report section can be used in order to generate project report in HTML, XLSX, DOCX, TXT. import and export buttons can be used in order to send other people reports and allows them import it in the extension. Open the Vulnerability tab, and create a new vulnerability. "Add SS from clipboard" button will copy image that you captured and save in your clipboard, it is also possible to add it manually by pasting jpg file into the vulnerability folder. request and response tab will include the requset and response of the vulnerable requset. 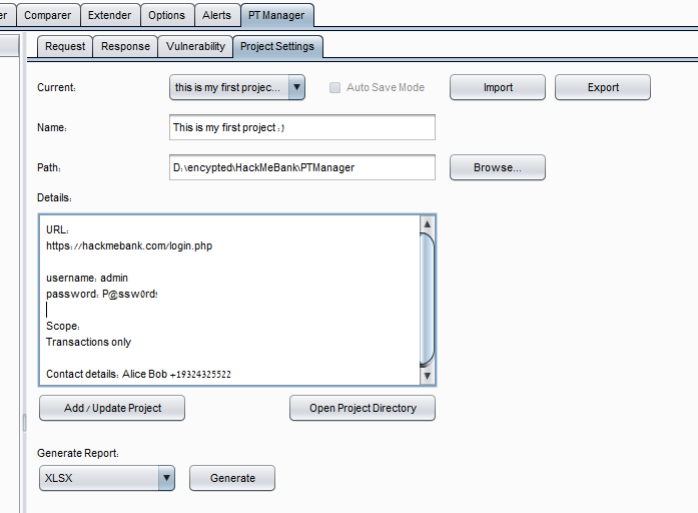 it is possible to attach specific request and response to a vulnerability by right click on request/response from anywhere in burp then click on "Send to PT Manager"
Hi! how we can add more payloads in the XSSor burp extension? URGENT LOVE SPELL (DR IFADE) TO BRING BACK YOUR EX HUSBAND/WIFE WHATS-APP: @ +2349060120490 Hello my respectable Viewer,i am writing this article to tell the world on how DR IFADE brought my Ex Husband back to me,This is the reason why i have taken it upon myself to thank this great spell caster called DR IFADE because through his help my life became more filled with love and i am happy to say that my Ex Husband who has been separated from me for the past 3 year came back to me pleading for acceptance from me, This was a shocking event because before i contacted DR IFADE i was the one begging my Ex Husband to come back to me but through the assistance of DR IFADE i now have my relationship restored. You can also have a better relationship only if you contact: Email him at: ifadesolutionspell31@gmail.com , you can also call him or add him on Whats-app: @ +2349060120490 for help and i assure you that you will definitely get a good result out of it.